Welcome to the meet page for RADP-XVI, our sixteenth annual meet! 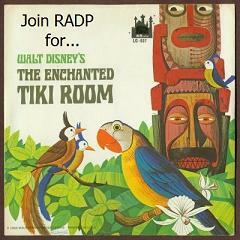 This year, the fun of RADP Meets returns for another year with RADP XVI, coinciding with various holiday activities at Walt Disney World. 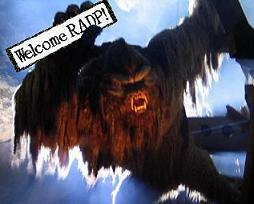 If you are new to RADP, you may be asking yourself, "What is a RADP?" 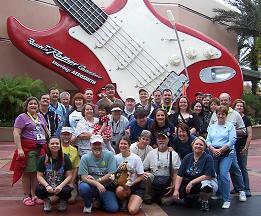 RADP stands for rec.arts.disney.parks -- a Disney parks enthusiast newsgroup where folks all around the world share tips, stories and general information regarding the Disney park experience. We get together once a year to put a face to that poster/friend we met on newsgroup. New and renewed acquaintances abound every year. And a reminder - RADP is RSVP free! RSVPs are never required for RADP meets! 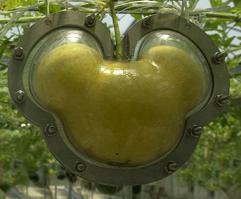 Meet at the Dawa Bar 5:00 PM Time Change! 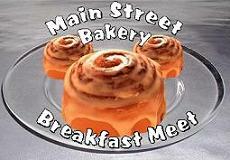 Bakery, Maelstrom, & IllumiNations 6:30 PM Time Change! Printer friendly version of meets chart here. Recommended printer setting using Internet Explorer is 70% original size instead of "shrink to fit". Attention explorers! If you plan on riding during our 10:30am Expedition Everest meet, make sure to head directly to Expedition Everest and pick up a Fastpass before going to the safari meet! To kick off our 16th annual RADP Holiday Meet, we're going on a safari through the African savannah of Disney's Animal Kingdom! 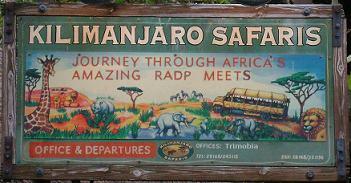 Our wildlife reserve tour gathers at 9:30am, just to the left of the main entrance of Kilimanjaro Safaris. The elephants and warthogs aren't the only wildlife we're likely to see on this RADP adventure! Be prepared to reunite with old friends and make some new ones as we say "Jambo!" to our 16th annual meet! We're headed straight to the heart of the Himalayas for a treacherous train ride and a close encounter of the yeti kind! 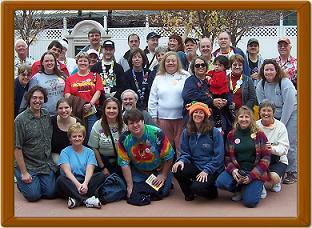 Our trek begins at 2:00pm at RADP base camp, which is across from the main entrance of Expedition Everest. If you plan on riding during this meet, please pick up a Fastpass earlier in the day, and ensure that your return time is 2:00pm or earlier. 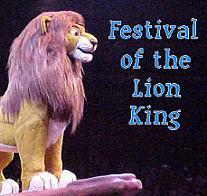 Come experience the pageantry and tribal rhythms of Festival of the Lion King with RADP! Please meet in the area just past the stroller parking area for this colorful and energetic interactive show. Due to the popularity of this show, please plan to arrive promptly at 1:00, we so can be assured to get into the 1:30 show. Whether we're talking about ants, grasshoppers, stink bugs or spiders, it's TOUGH to be a bug! So at 2:30pm, we're meeting at the main entrance sign for It's Tough to be a Bug so we can pay a little respect to our millions of creepy, crawly friends. They've made us honorary bugs, so now we're making them honorary RADPers! 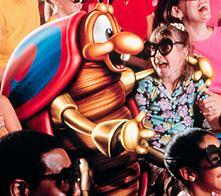 Be sure to grab your 3D glasses and get ready to bug out! 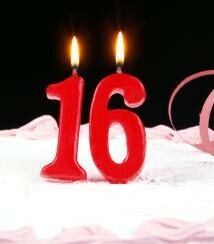 RADP's turning sweet 16! And no 16th birthday party is complete without lots and lots of presents! In order to participate, please bring a wrapped or bagged $5 gift (it can be a nice gift, or a silly gag gift) and get ready to trade those gifts "Bad Santa" style! The Dawa bar will be nearby if you would like a spiked drink from the punch bowl, and the parade will be cheerfully passing by in the background as well. Last year's gift exchange meet was a blast, so don't miss your chance to join in the fun this year! Rise and shine! We're going on an unforgettable journey high above the Golden State, so don't be late for this very important date! 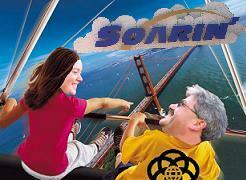 At 9:15am, we will assemble our flight crew just outside the entrance of the pavilion, then take off on our amazing trip above the clouds on Soarin'! After an early morning of "Soarin'" above the clouds, we're slowing down for a leisurely, educational boat ride through the innovative Epcot greenhouses aboard Living with the Land. We'll see the great plains and the rainforest, followed by numerous greenhouses, aquaculture ponds and hydroponic gardens. We're sure that everyone will find this ride to be relaxing, educational and fun, especially when you're with RADP! 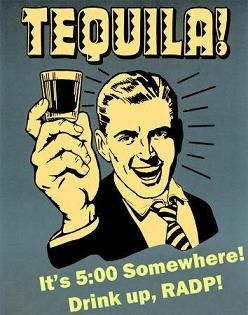 Like Jimmy Buffet says, it's 5:00 somewhere! So at 12:00 noon, we'll stumble to the Mexico pavilion where we can enjoy some delicious spirits and spirited conversation in the Cava del Tequila. With more than 70 different types of tequila for you to enjoy, you'll feel like you're wasting away in Margaritaville in no time! And for those of you with a less spirited palate, the Cava del Tequila also offers a variety of non-alcoholic beverages and appetizers. Come one, come all! It's time for the main event! At 1:30pm, RADPers from far and wide will all come together outside the turnstiles of the International Gateway for the 16th annual RADP Big Meet and Greet! This meet is open to everyone who has ever been or will ever be in the RADP family, and is a great chance for newcomers to meet everyone! Park admission is NOT required for this meet. 5:00pm @ Epcot - Time Change! Cheerio, chaps! The UK Pavilion is a bit of alright in RADP's eyes. 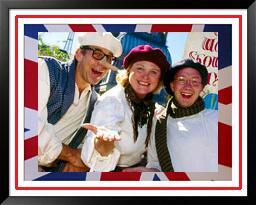 At 5:00pm, we'll be taking a moment to watch those cheeky chaps, the World Showcase Players, then we'll take in the 5:30pm performance from World Showcase's newest addition, British Revolution. You'll be positively gobsmacked at their talent! It'll be the bees knees! Cheers mate! Norway's spirit has always been, and will always be, adventure! 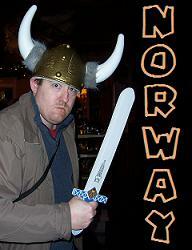 So we're celebrating the land of Vikings with our Norwaypalooza meet! We'll plunder the great fjords and have a snack at the Kringla Bakeri. We are not the first to pass this way, and nor shall we be the last when we board the pavilion's thrilling Maelstrom boat ride. And to end the evening, RADPers will prowl the water's edge to watch IllumiNations at 9:30. 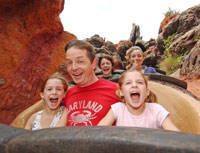 For the 15th year in a row, we're taking a leisurely log ride to the Laughin' Place aboard Splash Mountain, and a twisty train ride on the wildest ride in the wilderness, Big Thunder Mountain Railroad! When you arrive, make sure to grab a Fastpass for Big Thunder before heading off to meet the rest of the group near the Splash Mountain entrance. This is traditionally a very popular meet, so don't be late, or Brer Fox might throw you into the briar patch! Ahoy mateys! 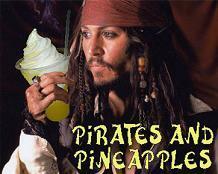 It's time for a cruise through the Caribbean, pirate style! Get ready to dodge cannonballs, traverse water falls and encounter and entire host of scurvy pirates, featuring none other than Jack Sparrow himself! Then after our cruise we'll head to the nearby Aloha Isle for a cool Dole Whip and some time to relax before our Enchanted Tiki Room meet! The birds sing words and the RADPers croon at the Tiki Tiki Tiki Tiki Tiki room meet! For years we've enjoyed the "Under New Management" version of the Tiki Room, and now it's time to welcome back the original! At 4:00pm, we'll meet at the entrance of the newly refurbished Enchanted Tiki Room for some soothing sounds of the South Pacific, featuring our delightfully nostalgic feathered friends. 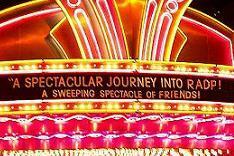 As we all prepare for the arrival of the new Fantasyland expansion, we're pausing to say goodbye to one of the Magic Kingdom's original attractions. 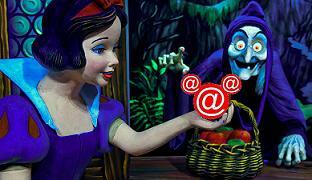 At 5:00pm, we will all gather for a final farewell ride on the classic dark ride Snow White's Scary Adventures. We're in Florida, so we're spending a little time relaxing on the beach at the beautiful Polynesian resort. At 6:30pm, we'll gather at Captain Cook's, then head outside for a big screen movie, followed by the Electric Water Pageant and a showing of Holiday Wishes. If you want to skip the movie, the Electric Water Pageant is at 9 PM and Holiday Wishes is at 9:30 PM. Heads up soldiers! If you plan on riding during our 2:00pm Toy Story Mania meet, make sure to head directly to Toy Story Mania and pick up a Fastpass before going to the Rock N Roller coaster and Tower of Terror meet! It's that time again! Time for RADP to go from the depths of the Twilight Zone to the hills of Hollywood at our 12th annual Rock N Roller Coaster and Tower of Terror meet! We'll all gather in the Rock N Roller Coaster courtyard at 9:30am before going over to Tower of Terror and taking the service elevator straight to the Twilight Zone! As soon as everyone has made their way safely back, our Rock N Roller Coaster super stretch limo will be departing for a thrilling ride to an Aerosmith concert. Even those who aren't so fond of all the thrills and chills will still have a nice time visiting with their RADP friends during this meet! We're taking a ride into the movies! Our journey will take us through an alien invasion, and vehicle hijacking and through a room full of snakes...why did it have to be snakes?! At 11:00am, we'll meet behind the Hat, and after plenty of time to mix and mingle, we'll embark on our trip through cinematic history! We're taking a ride into the movies! Our journey will take us through an alien invasion, and vehicle hijacking and through a room full of snakes...why did it have to be snakes?! At 11:00am, we'll meet behind the Hat, and after plenty of time to mix and mingle, we'll embark on our trip through cinematic history! Reach for the sky! And get your trigger arm ready to fire eggs, darts, pies, rings and baseballs at this fast paced, competitive meet! We'll be splitting into groups of two to determine who has the best aim in the toy box, and the winner gets bragging rights for an entire year! Arrive with your game face on, but please, no angry eyes! In order to ride during this meet, please ensure that you have a FastPass with a return time of 2:00pm or earlier. RADP is turning Sweet 16! So to celebrate this momentous milestone, we're blowing out our birthday candles and enjoying a sweet treat together at the Writer's Shop! Feel free to join us at 3:15pm for all the birthday festivities! Join us for an intergalactic voyage across the galaxy on the new and improved Star Tours - The Adventure Continues. We'll meet just to the left of the main Star Tours entrance, and once the troops are assembled, we'll head inside to take part in this battle of epic proportions! We may end up on Tatooine, Hoth, Naboo or another otherworldly location during our voyage...no one knows for sure! Light speed! With the 16th annual RADP Holiday Meet coming to a close, our final hurrah will be a rousing round of mini golf at Fantasia Gardens! The fun begins at 8:30pm at the entrance of Fantasia Gardens mini golf course, which is located between the Walt Disney World Swan and Dolphin resorts. We'll chip, put and laugh our way through 18 holes of mini golf themed to Disney's classic film Fantasia. 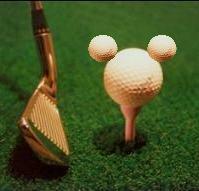 People of all ages and golfing abilities will have a great time during this mini golfing adventure meet! Unable to join us for RADP-16? Mark your calendars for the following ... Everyone is welcome!